Our opening hours are changing to 9am-6pm on both Saturday and Sunday to welcome the warm weather! Thanks Pioneer New World for sharing this photo of our berries at customer night! The long awaited berry season has finally begun! Windermere Berry Farm will be opening it's doors this Friday and boy, are we excited! Spread the word and come on down and see us for all your favourite, berrylicious treats, along with a few new additions you're sure to love! Proven Strawberry Plants for sale! Come on down to the farm and grab them while they're still available! Includes 8 proven one year old Day Neutral strawberry Plants, complete with strawberry cour mulch that has been saturated with strawberry growing nutrients. Strawberry Growing Instructions: Your strawberries are 1 year old plants already proven performers. 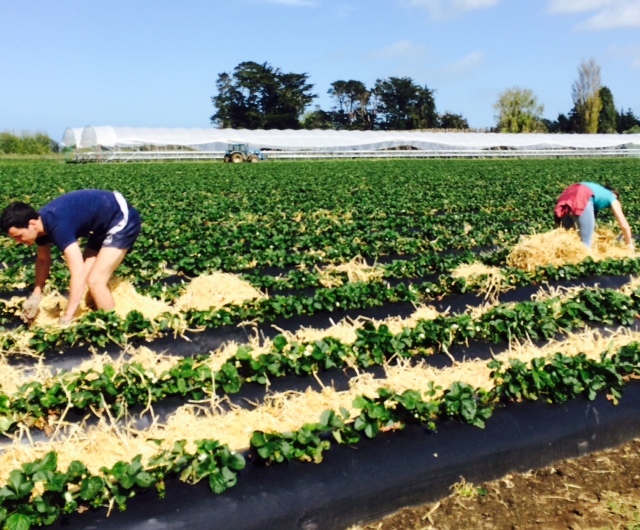 Strawberry plants are generally good for up to 3 years. Each 1 metre long bag contains 8 plants and substrate mix which is already loaded with strawberry growing nutrients. The mix in the bag should be mixed in with your soil around the plants. Dig trough slightly longer than 1m long. Cut away the plastic from your strawberries and place the plants complete with strawberry mix in the trough. Replace dirt around the plants but no higher than the crown. After 1 week cut off all the foliage just above the crown. Your plants will hibernate through winter with nutrients just feeding the roots. As temperatures get warmer in spring fresh leaves will grow followed by flowers and Strawberries. Your strawberry plants are a day neutral variety. They grow best between 14 and 24 degrees C. Your first berries should arrive around November. After fruiting finishes around Christmas time, cut back all the foliage again and your plants will likely give you another crop of strawberries in the autumn. The Big Easter Egg Hunt! Loads of fun for all the family! Windermere Berry Farm is laying the straw, stirring the jam, and polishing our ice cream machine as we prepare for the start of the season. We will be firing up our espresso machine from October 19th, and hope you join us Labour Weekend to mark the start of our new berry season!!! Farm Shop and Cafe closed for the season! Windermere Berry Farm and Cafe will reopen its doors in October 2015. For up to the minute information in the lead up to the 2015-2016 season grand opening, like us on Facebook! Come in and join us for Mother's Day! Come join us this weekend for Mother's Day! Lovely lunch specials for your mum. Reservations advised. 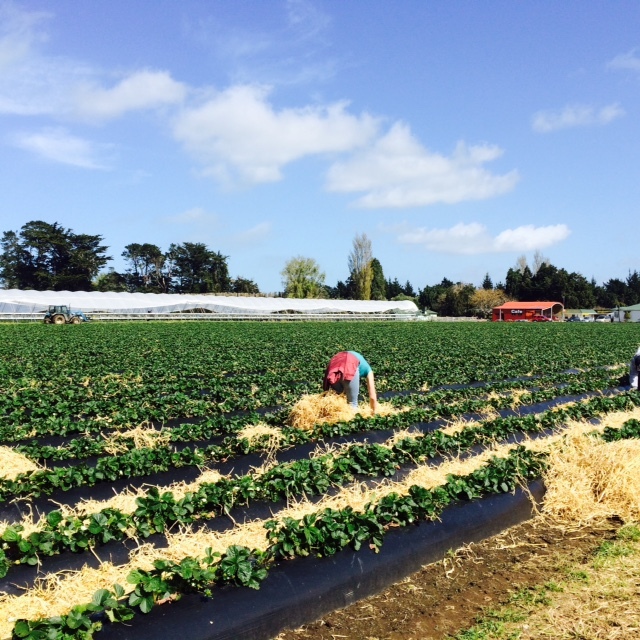 We are still picking fresh autumn raspberries and strawberries for your Mother's Day celebration! We look forward to seeing you out at the farm. Come in and see us in the Cafe for a container and directions to the right patch!